Flevox for cats is a broad-spectrum treatment that protects felines against fleas, ticks and chewing lice. Flevox is a specially formulated spot-on solution, which kills and prevents from fleas (Ctenocephalides), ticks (Rhipicephalussanguineus) and lice. Treatment remains effective for 4 weeks against new infestations. It is suitable for cats over 8 weeks and older. Newly arrival fleas are killed within 48 hours of landing on the cat. This product can also be used as tremendous part of treatment for Flea Allergy Dermatitis (FAD). 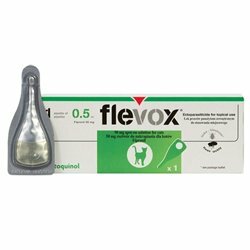 Flevox for Cats - How It Works? The active ingredient, Fipronil in Flevox spreads across the pet's skin and coat through the pet's body movement. It kills the fleas within 24 hours and ticks within 48 hours of application. It is effective and long-lasting treatment that protects cat from infestation due to other another animals and surroundings. This is a water proof solution, which remains effective even after swimming and shampooing. I have been using Flevox for the past year, and I have been so happy with the results. I love in an area with a large flea problem, and even with a severe infestation in my tiger Lillie’s outside, my cats had no issues. 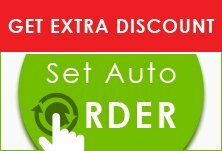 I love this product and will continue to use it! This treatment is fairly easy to use. I can’t believe how quickly it showed results. It didn’t cause any distress to my kitty. She is way more relaxed than before. Thank you, Flevox! One day I walked with a friend in an area that we were unaware it was most affected by ticks. When I returned home, I picked so many ticks off the cat and we found some later that hidden in her fur. Then I try this spot-on solution on her the day of that walk and within 2 days, the ticks we had missed were dead. This product has been such a blessing they last longer and it really works. I have used this before and purchasing it again, as it was effective and not harmful to my cat.